Ring Alarm, an alternative (and less expensive) option to Nest and their Nest Secure system, is finally up for pre-order after being hyped as recently as CES. Ring Alarm costs $199 for the startup kit, which includes a base station, keypad, contact sensor (for windows or doors), motion detector, and a range extender. You can expand it from there by buying additional motion and contact sensors, flood and freeze sensors, smoke & CO listeners, dome sirens, etc. Add-on items costs anywhere from $20 to $50. Nest Secure, for comparison, only this week dropped from $500 to $400, so it’s still double the cost of Ring Alarm. The entire system integrates with the Ring app, so you can check your Ring cameras and the status of your home in one place. To get that setup, you simply connect the base station and keypad to your WiFi. From there, when in “armed” mode, if your system notices something is off, an alarm will sound in your house. Ring hopes that Alarm can be the professional monitoring system of your dreams. For $10 per month, they’ll give you 24/7 monitoring, cloud video storage for an unlimited number of Ring devices, 10% off future Ring purchases, and LTE cellular backup. 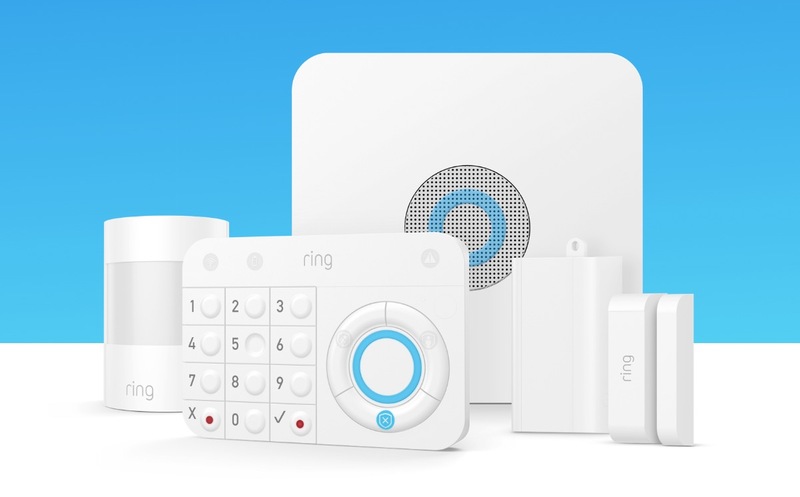 You can pre-order Ring Alarm today from places like Best Buy, Home Depot, and Amazon. It’ll ship by July 3.